More and more, the cannabidiol schizophrenia relationship is being studied in patients as an alternative to traditional medicine. One of the main reasons for this interest is the lack of side effects in patients using cannabidiol, or CBD, as most medicines used to treat schizophrenia present undesirable side effects – often leading patients to go off their medication. Most studies on this relationship are recent. What’s more, there is still controversy attached to anything related to cannabis. However, anyone looking at the facts would be hard-pressed to deny the fact that people with serious illnesses are finding relief. Let us take a look at some of those hard-hitting facts as well as some specifics about how CBD works within the brain to help treat schizophrenia. People with schizophrenia are affected by delusions, hallucinations, social withdrawal and disturbed thinking. For the longest time, this biocheminal disorder has been thought of as untreatable; treatments were focused primarily on managing the symptoms. Science, however, is coming to understand that the endocannabinoid (EC) system of the brain is directly related to the development of the disorder. Our EC system is a group of lipids and receptors in the brain that regulates functions like mood, appetite, pain sensitivity and memory. When lipids and receptors malfunction, people with schizophrenia are prone to suffering from those astounding symptoms. Why does the EC system malfunction in people with schizophrenia? Our endocannabinoids are protected by glial cells, one of the first lines of defense against infection of the neurons in our brains. However, being highly sensitive, it’s possible for these cells to overreact, causing inflammation and possible neural damage. This is what happens to someone suffering from schizophrenia. With the breakthroughs of medicinal marijuana, such as in people like Charlotte Figi and Landon Riddle, people with severe illnesses have been looking for answers outside the pharmaceutical industry. 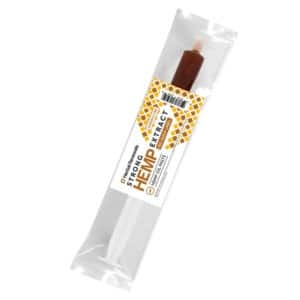 Both THC and CBD have been proven to help treat some serious diseases, whether both components are working together or CBD is being used as the sole component in a treatment. Recent studies, however, have shown that medicinal marijuana containing THC can go either way in affecting a patient with schizophrenia. 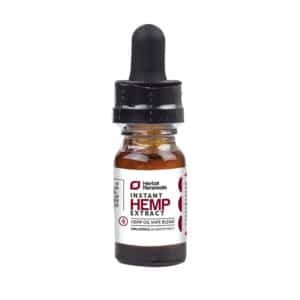 While hemp oil containing THC has been known to exacerbate schizophrenic symptoms, the opposite has strangely been known to be true as well. Anandamide, a molecule that helps us cope in highly stimulating situations, relieves anxiety and reduces stress. 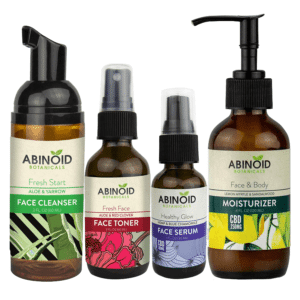 CBD has been shown to raise levels of anandamide in suffering patients, drastically reducing their symptoms. THC, in the same way, actually mimics anandamide. So, if high levels of anandamide help with schizophrenic symptoms, and THC can mimic it, then why can THC also intensify the psychotic state of schizophrenia? Well, not only does THC mimic anandamide, but it can also mimic another cannabinoid called 2-AG. This component can produce a whole host of different outcomes in a patient, effectively firing off a surplus of inflammation. This is why treating schizophrenia with THC seems to be “hit or miss” with some. With the latest studies, science is turning to cannabidiol for treating this particular disease. If there is anything to be learned from the study of CBD and THC as treatments, it is that we can no longer maintain a one-size-fits-all approach to medicine, especially after learning about the cannabidiol schizophrenia relationship. THC may seemingly be getting a bad rap here, but this component of cannabis isn’t all one-sided. THC can be a useful medicine in some cases. 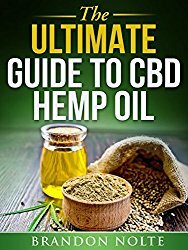 Hemp oil with THC is more commonly used in conjunction with CBD. 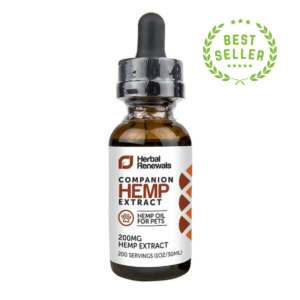 The THC actually makes the CBD component more effective than if CBD were being used by itself. In turn, the psychoactive effects of THC will be significantly reduced thanks to the CBD. In this way, CBD and THC can work together beautifully to downgrade psychoactive side effects while still remaining effective in treating conditions like chronic pain and anxiety. THC can also be used in isolation, which can be useful to some. Many pharmaceutical drugs made to treat problems like joint pain and arthritis usually come with side effects like nausea and vomiting. THC can treat the same problems and much more, all without producing the side effects of traditional medicine. In fact, THC is known for treating side effects like vomiting and chronic nausea. Being able to successfully treat people with schizophrenia is, by no means, resolved. Studies are still under way as to how we may effectively use cannabis to bring results to suffering patients with the least bit of setbacks – not to mention all the hurdles that need jumping in terms of legalization and, sadly, in the pharmaceutical industry’s case, profitability. In order to see real and wholesome results, the focus has to remain on the patients who need real help. We need to be able to listen and respond to the needs of patients across the board. If we can do that, then CBD’s viability as one of the first natural solutions for patients can no longer be swept under the rug. 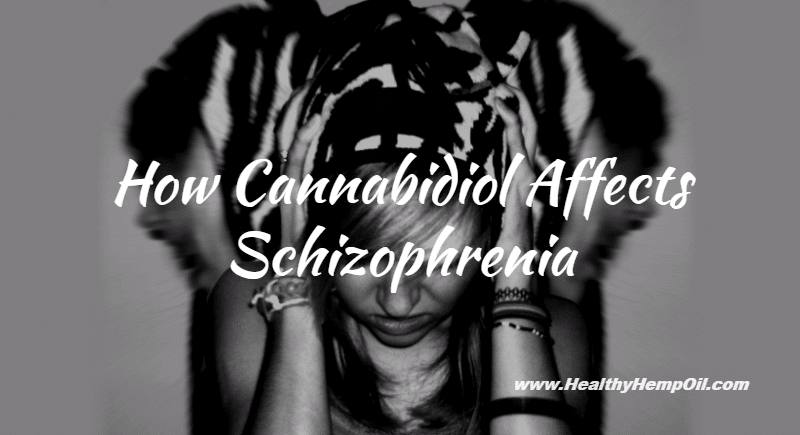 What do you think about the cannabidiol schizophrenia relationship? Feel free to leave a comment below.